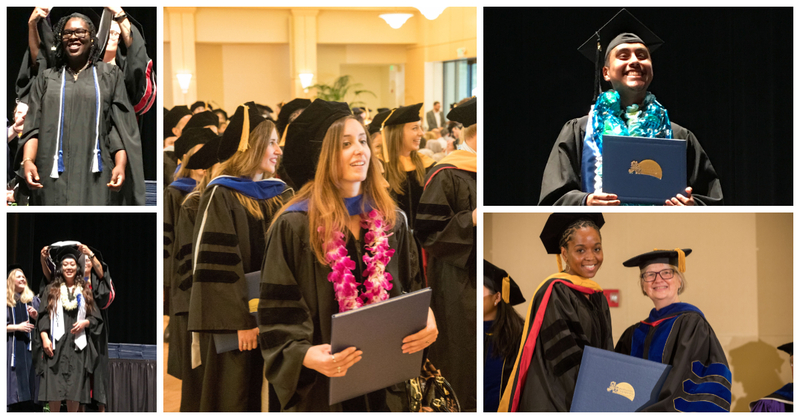 Over 200 Palo Alto University (PAU) students participated in commencement ceremonies this month with degrees in counseling or psychology and a commitment to improving the human condition. During June ceremonies, 87 new psychologists were congratulated for their achievement in completing doctoral programs and 139 master’s and bachelor’s degrees were conferred. During PAU’s doctoral commencement ceremony on June 9, 51 Ph.D.’s in Clinical Psychology were conferred and 36 students completed the PGSP Stanford PsyD Consortium program. Melba J.T. Vasquez, the first Latina president of the American Psychological Association and a leader in multicultural psychology, delivered the commencement address. Understanding diversity was also emphasized during commencement ceremonies on June 23 when 91 degrees were awarded to graduates of PAU’s master’s programs in Counseling, Counseling Psychology, and Psychology, and 48 students received bachelor’s degrees in Business Psychology and Psychology and Social Action. PAU Professor Emeritus Dr. Peter Goldblum, known for his national and international contributions to the field of psychology, gave the commencement address.